MRPeasy manufacturing software makes material planning, production scheduling and team communication easy. CRM section: For quick cost estimating, quoting and customer relations. 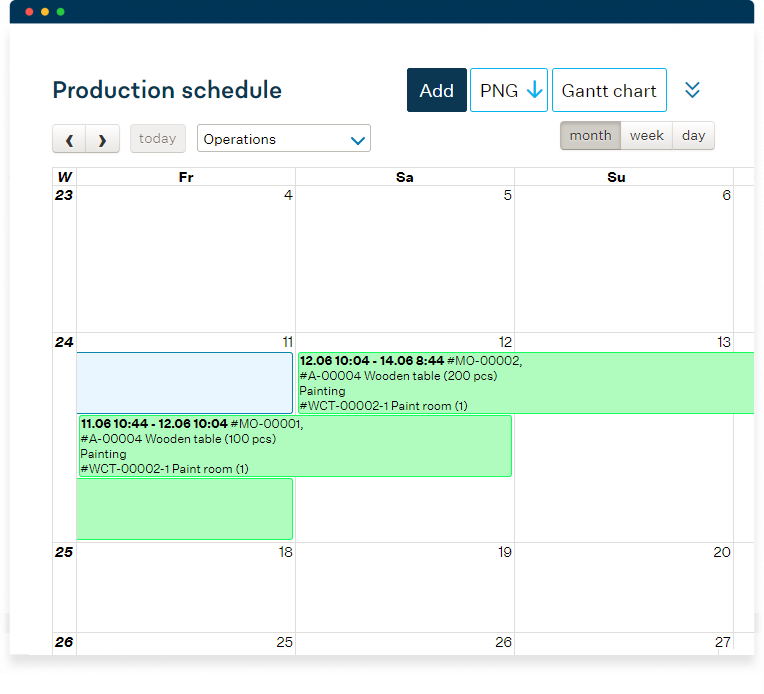 Production planning: For assisted production scheduling, a visual production calendar and Gantt chart and dynamic drag-and-drop rescheduling. Stock module: For inventory control, stock movements, stock lot/batch, serial number tracking, shipments, and much more. 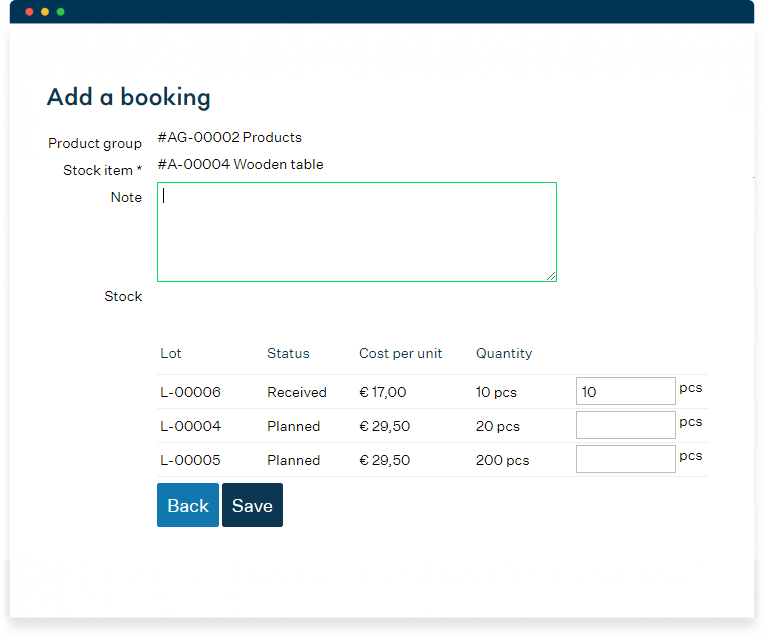 Procurement: For managing purchases and increase pre-filled purchase orders with a single click. 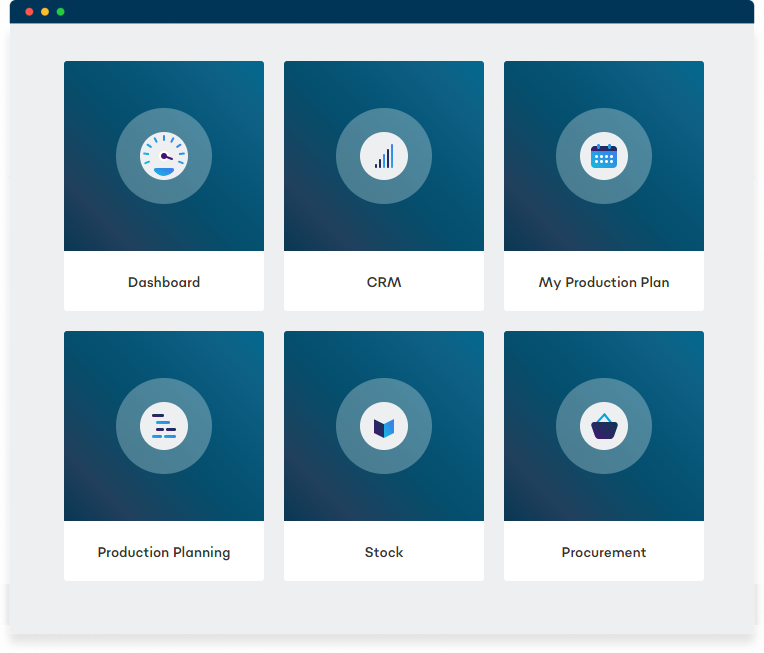 One dashboard: For a quick overview of the whole manufacturing process – from start to finish. Have one place to manage your stock, material purchase terms and purchase orders. Quickly estimate material costs and lead times when quoting or when scheduling new manufacturing orders. When a work order is created, automatically book parts from stock and create prefilled purchase orders for missing parts. See color coded warnings for parts not arriving on time and take immediate action. Use one integrated manufacturing software for materials planning helps to avoid stock-outs and decrease inventory levels. Having each work order associated with a particular BOM and routing gives the system ability to easily calculate the manufacturing cost and time. All manufacturing orders are managed in one place, enabling MRPeasy to check and book the first available workstation time-slots and schedules the production for you. Follow production schedule on visual calendars, or Gantt charts, and use simple drag-and-drop for dynamic rescheduling. All manufacturing operations and materials planning are done in one system, ensuring that every user has a clear overview on tasks and duties. 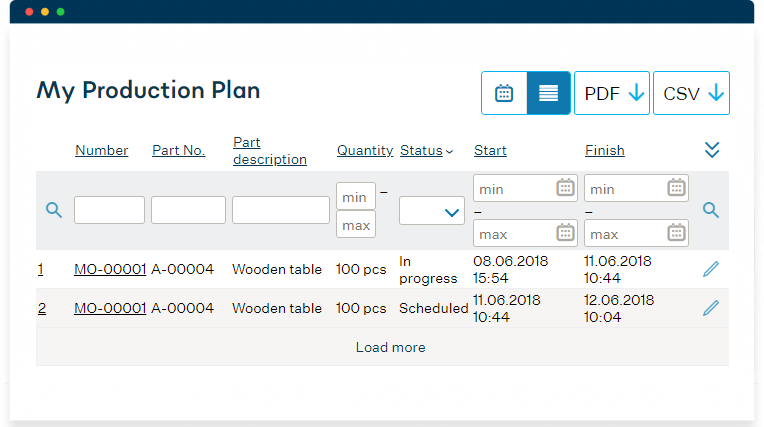 Shop-floor workers can follow their tasks in the “My production plan” section, and report fulfillment or stops. Additionally, they can use simplified the “Internet-kiosk” mode for shop-floor workers tablets or smartphones for simplified real-time reporting. MRPeasy is simple yet powerful manufacturing software that helps small manufacturers organize production. Just sign up to test MRPeasy, select the features plan that meets your requirements and access additional functionality as you grow your business.